“The way SA Rastas fosta that Patois accent :’D yes I.” flashed one retweet across my timeline last week. Descending upon the Blue Waters beach in Cape Town, my mind temporarily tried to find solace in that tweet; hearing the MC over the speakers, I half-mockingly, half-seriously grouped him into that same ‘questionable patois’ bracket. But sense prevailed, and he proved himself the perfect candidate by the end of the night. 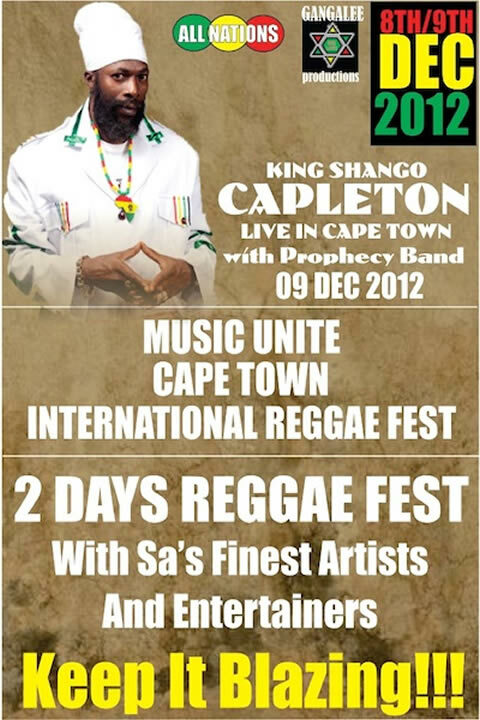 When Capleton came to Cape Town, Rasta people came out rushing. The turnout betrayed the poor level of publicity which threatened to render the event a failure, while the moderate wind with its warm breeze added to what ultimately became a true revelation. “//Hui !Gaeb”, where the clouds gather; marching in a thick cavalcade across the horizon, they threatened to engulf the mountain range in a shroud of darkness. But as the sun set, a lazy, orange daze rested upon the clouds’ bosom, while the soundsystem kept booming with selectah Themba mixing the best in Capleton’s dancehall cuts. From the ital meals which packed dishes at various stalls, to the ganja displays and merchants who advertised different strains like ‘organic skunk’ and ‘cheese’; from the Rasta youth who played freely around the yard, to the soundman who made sure that the sound flowed free and right – Capleton was a spiritual experience, a shared vibration, a testament yet again to how music can unite people whose ideas of life may be in total conflict with each other. A skank here, a smile there, reggae music for government! 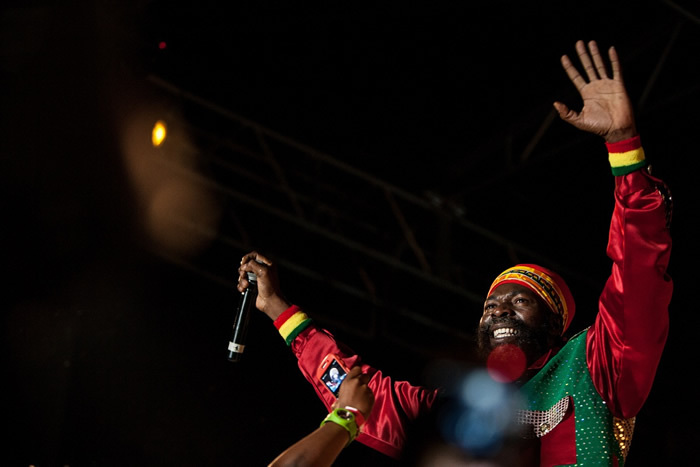 Sunday was the second day for what was billed the “Music Unite Cape Town International Reggae Fest”, an event that Capleton would be headlining. Opening for him was a selection of artists ranging from Paarl’s Blak Kalamawi, whose roots-reggae twist was delivered in perfect fashion, with the beautiful lilting harmonies of the two backup singers. The Little Kings belted out their ska-rock sounds as well. The Azania Band backed a long line of artists, and not once did they leave a feeling of being half-hearted, capably delivering the most rhythmic, bass-heavy sound everytime their ensemble was in effect. The contrast in characters was both striking and beautiful to behold. To the front of me, a dreadlocked Rastaman dressed stylishly in all-white regalia with a dashing red tie fastened such that its arm leaned towards the shorter side, asked friends to take a picture of him on his blackberry; three metres further, a pantsula cat wearing shades and looking backwards into the crowd posed serious questions in my mind about his outright disregard for social etiquette. To my right, outside the tent, an eager-looking elder dressed in military gear possessed an ever-ready smile that he dished to everyone who walked past, while an assortment of hippies and Rastas scattered about. One dealer had the business smarts to bring his scale along. “This is how I make my living”, he explained as he measured some greenery. I hung around for a bit while one of the customers crushed the weed and put it in a pipe. After a short prayer, the customer’s lady friend got afforded the honour of lighting it up. After that, it was a free-for-all for the other people gathered around – myself included. Two pulls in and I excused myself. A fresh breeze splashed across my face the moment I turned my head, immediately energising me and setting off a smile that set my mind free and left my head feeling light. “Bun chi-chi man!”, went the lyric from one of Capleton’s songs being played by the selectah in the tent. The people in the dance let off screams and shouts; the paradox of Rastafari’s one love ideology and its deep-seated aversion towards homosexuals revealed itself, again. Back to the music. 18H40: The Prophecy band begins soundcheck, a process that will morph into a mini-set before some suits step on stage and point out what one can only assume are ‘security risks’. I try to go towards the front to get a better view of the situation to no avail. The music resumes, and Jah Thunder, one of the many protégés whom Capleton brings along while on tour, blesses us with a couple of tunes before clearing the stage for the King of Fire, King Shango himself, Capleton! With messages of self-upliftment and self-awareness directed especially towards the ghetto youth, Capleton’s music seems to reverberate with the dispossessed and disenchanted from Cape Town through to Zimbabwe, right on to Kenya, and finally to the Gambia and Senegal. The tunes vibrate with a deeper, collective consciousness, which could explain why the barricades between the stage and the people in front gave in to the immense pressure. Unfortunately, the result was repeated threats (twice in total) to shut down the show. Thrown into that debacle was a power outage, a non-event which saw the Prophecy band continuing through their on-stage monitors (the power supply seemed to have affected only the mixing console and the lights in the tent). Literally fifteen seconds after they got into full riddim mode with Shango at the helm, the power came back again. Glory! The concept of time as it applies to our daily lives disappeared when Capleton ascended that stage. For close to two hours, he held out his hand while the audience unquestionably drank from his cup. Themes of love, peace, togetherness and unity abounded; King Shango’s set was part-sermon, part-bashment, part-spoken word fury; all rolled up in a highly-concentrated dosage of fire, musical fire! My mind drifts again, this time to the conversation we had earlier with some brethren who are organisers in their respective communities. Marikana stuff; stuff about patrols still being carried out around the area; about how the workers have been kicked off of the mine compounds and are being forced to live elsewhere; about Ramaphosa and the bickering and endless strife between NUM and NUMSA. Meaty stuff to process, yet baseless in many respects; so I revert back to the music. I navigate my way around the audience to get a feeling of the energy from different positions. It could be me, but people who stand towards the back generally do not partake in the call-and-response mania typical of live shows; some are just too mellowed-out to bother. Back in the pit, to my immediate left, I spot a guy whose eyes, like postal slits, betray any false hopes he might have harboured of giving off the ‘sober’ look. “More Faya!” He shouts, blatantly disregarding rhythm and pace, totally engrossed in his own world. Capleton delivers his sermon mostly with eyes closed, only casting an intermittent glance to check whether the audience is still in synch with the message, before fading right back into his domain, his consciousness. And it is indeed an admirable space to be; a reggae superstar whose catalogue spans twenty years; whose lyrical finesse remains unmatched worldwide; whose flex on the microphone many can learn a great deal from. At one point, with the Prophecy band right on his tail, instantaneously responding to each and every one of his myriad musical cues, he goes through a medley of old school tunes, digging as deep back into his musical crates as the “Lotion man” days. “Mama you’re strong”, the opening phrase of a moving ode to mothers everywhere, even slower and deeper than its album compatriot. It was a truly serendipitous moment where love, serenity, and hope reigned supreme. For ‘Acres’, he interchanged one of the cities with Cape Town – a feat he would frequent on other songs. “When I say Caaaape Town, you say shakedown!” his voice would rumble amidst cheers and shouts courtesy of the enamoured audience. 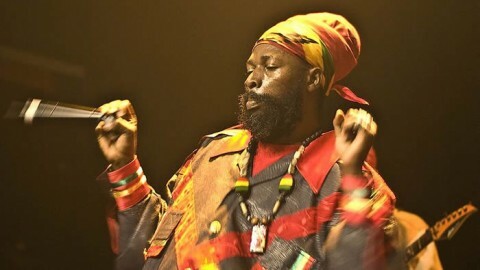 Capleton took it all in stride while he cemented his place as a reggae figurehead to reckon with. After many barrages of pure fire and high energy, it was all over.  Later, I grapple with issues of who the festival was aimed at. The price (R200 at the door for one day – which got reduced to R120 on Sunday) was steep for township reggae patrons. Would there have been a bigger audience had word got out earlier – as was the case for the Jo’burg leg? In the morning, still floating in and out of the real and imagined as a result of the past night’s events, I emailed the lady whose pictures were to accompany the review. “I am sorry to disappoint u but Capleton did catch me so much with the vibe that I left the camera in the bag. Can u believe? [it] was part of history but I wanted just to celebrate,” came the reply. I can relate.